I was privileged to receive the ebook version of “It Happens All the Time” from NetGalley. 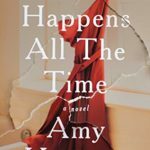 The author, Amy Hatvany, lives in Seattle and most of the book is set in Bellingham giving this novel two reasons to merit a blog post here on Discover Washington State. In the story Amber and Tyler have been best friends since they were teenagers, but recently started spending more time together than ever before. Amber is engaged to Daniel who is currently living in Seattle so they don’t spend much time together during the period when the novel takes place. Told in alternating points of view, Amber questions whether or not she caused the terrible problem the night of the party by her actions and the way she dressed, while Tyler mostly doesn’t remember what happened. I want you to read the book, so I’m not giving anything else away. Hatvany bravely pulled the topic highlighted in this book from an incident she experienced in her past. I can only imagine how difficult it must have been to write, but it is a subject matter women wrestle with all the time so the story needs to be told. I found the message captivating and the characters colorful. It was also fun to have actual places and street names in the Bellingham area used in the novel as I lived there for four years. It made me reminisce about my own college days. With each new novel, Hatvany’s writing grows and flows. I look forward to her next with anticipation. 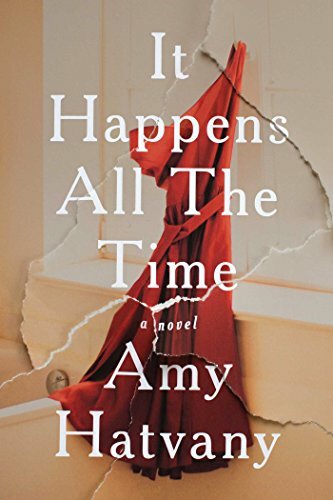 This entry was posted in Books and tagged Amy Hatvany, Bellingham, It Happens All the Time, Seattle on December 2, 2016 by Heather Larson. I'd love to hear from you. Please use the form on the Contact page to email me. Will Seattle Experience a White Christmas? Design by: Glass Slipper WebDesign. All contents © 2010-2014 Heather Larson / DiscoverWashingtonState.com. All rights reserved.